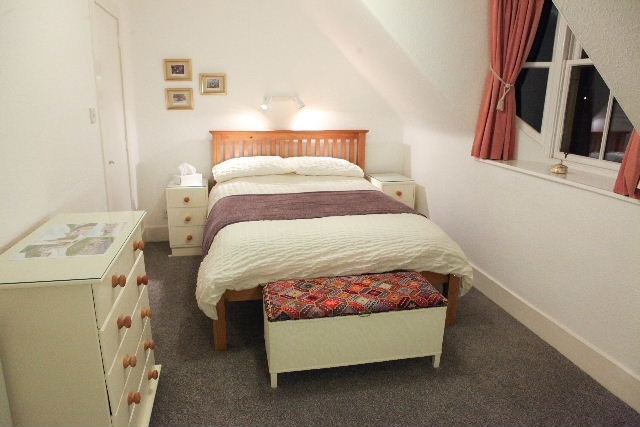 Reasonably priced,comfortable,spacious,self-contained upper part of a traditional house offering self catering accommodation for two to six people in the centre of Ballater. Weekends, short stays, weekly and longer rentals are available. Everything is provided for a relaxing and pleasant stay. Weekends, short stays, weekly and longer rentals are available. 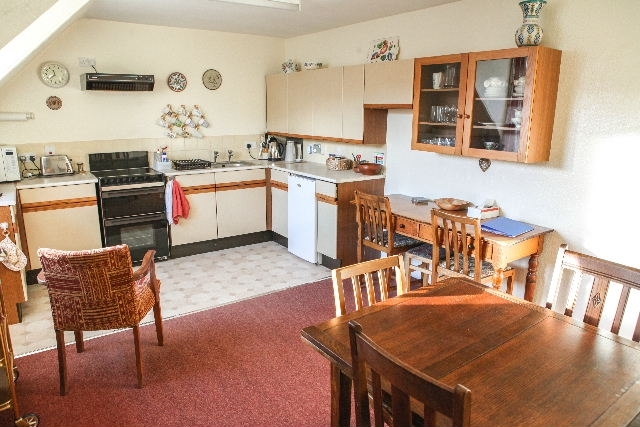 The property is fully equipped comprising 1 double, 1 twin and 1 small double bedrooms, large kitchen/diner, microwave, fridge, cooker, utility room with dishwasher, washer/dryer, bathroom with electric shower over the bath, and lounge with TV. There is a boot room on the ground floor where golf clubs, skis and walking gear may be stored. Bicycles may be safely stored in the adjacent locked lane. Electric storage heating. Wifi. Double bedroom with chest of drawers, dressing table and wardrobe Double bedroom with chest of drawers, dressing table and wardrobe Comfy, cosy lounge with views of Craigendarroch. Smart TV. Twin room facing south towards Craig Coilleach. Fitted wardrobe, 2 chest of drawers.